For a lot of people, a “point and shoot” camera translates to “scratch your head, read instruction manual, Google some stuff, aim camera, point, shoot and frown at grainy or under-exposed photo.” In other words: It’s complicated. It hasn’t always been this way. But more compact digital cameras now come loaded with features that were once reserved for bigger-bodied, pricier models. This is part of a broader strategy by camera makers to convince you to buy a camera other than the one built into your smartphone. But it doesn’t necessarily convince you that you know what you’re doing with these cameras. What do all those numbers on lenses mean? What’s a “CMOS” sensor? Does the ever-increasing number of megapixels really matter? In this column, I’ll attempt to answer these questions and more. 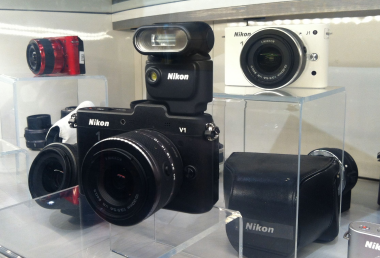 One area that digital camera makers have been focusing on is sensors. Image sensors are basically chips, ranging in size from your pinky nail to a postage stamp to a poker chip, that capture light and convert it into electrical signals to create a digital image. The larger the sensor, the more light it is able to capture, thus allowing for better photos in low light. Think of it as the difference between using a Dixie Cup or a bucket to collect rainwater — the rain, or in this case, the available light, has a better chance of hitting a larger surface. Many smartphones have tiny sensors, which is why, even as they boast higher megapixels (more on that below) they still don’t take great photos in low light. A basic point-and-shoot might have a 1/2.3-inch or 1/2.5-inch sensor, while a high-end professional camera will have a full-frame, or giant, sensor. But there’s a growing, in-between category of advanced compact cameras, ranging from around $300 to $600, that’s getting a boost from better sensor technology. 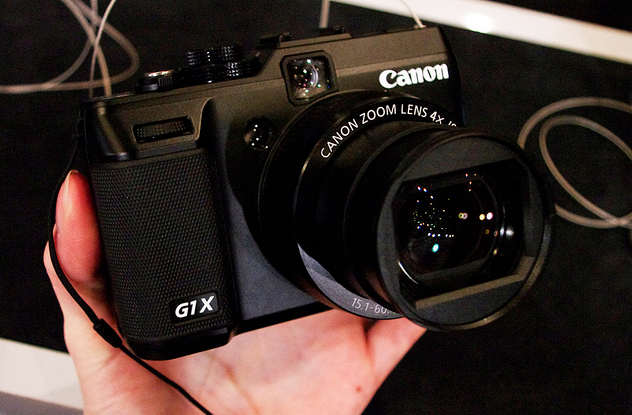 For example, Canon’s PowerShot G1 X has a large 1.5-inch sensor –- the largest that’s ever been in a Canon PowerShot model. The popular Sony RX100, which is also a point-and-shoot, has a one-inch sensor. 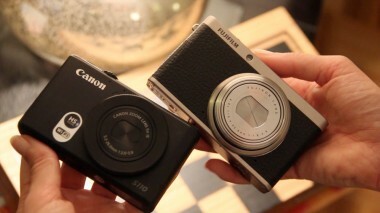 Fujifilm’s new X20 compact camera has a ⅔-inch sensor that’s comparable to the sensors in Fujifilm’s higher-end cameras. 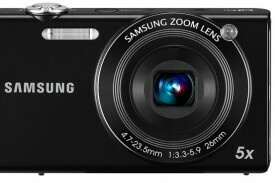 All of these cameras cost around $600 or more, compared with the less expensive Canon G12, Canon S95, Panasonic Lumix LX5 or Nikon Coolpix P7000, which cost between $300 and $400. The former not only have slightly larger sensors, but also have “CMOS” sensors (pronounced “see moss”). So … what does CMOS mean, you ask? CMOS stands for complementary metal-oxide semiconductor, and over the past few years this type of sensor has been emerging in digital cameras. Another type of sensor you might see in cameras is CCD, or charged-couple device. One simple way of distinguishing the two is to look at CCD as analog and CMOS as digital. With both, light hits the sensor and the light is converted to electrons. With a CCD sensor, that process is transferred to another part of the camera. But with CMOS, the process happens in the sensor itself. Some camera makers say CMOS sensors allow for speedier functions in other parts of the camera. But each has strengths and weaknesses in different applications. It’s not just the sensor that determines the overall quality of photos. Aspiring photogs will also want to consider the lens and the camera’s processing power. One camera maker I spoke to used a car analogy to explain this: You can have a great transmission but it’s not going to do much for you if you’ve got a weak engine. Do megapixels matter? The way some camera (and smartphone) makers talk about megapixels, one might assume that an eight-megapixel compact camera is better than a five-megapixel, a 16-megapixel compact camera is better than the eight-megapixel, and so on. But that’s not necessarily the case. A new camera that boasts more megapixels may equate to higher-resolution images, but if everything else about the camera — lens, sensor, processor — isn’t as advanced, the addition of more pixels into the same sensor space can actually add noise, or graininess, to photos. A few professional photographers I consulted agreed that more is not always better when it comes to megapixels. They also said that megapixels really only matter if you plan to print out big, poster-sized images, or if you plan to do a lot of cropping later on. For many consumers, anywhere from five megapixels to 10 megapixels is plenty. 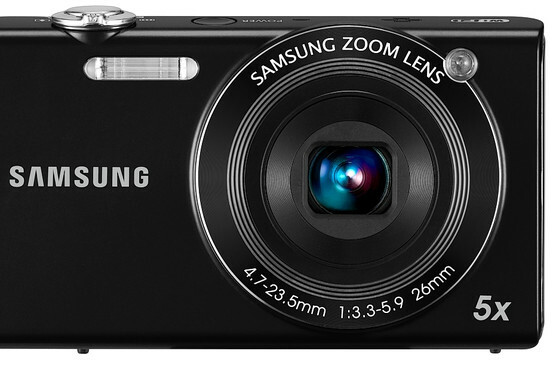 One of the most obvious features that compact cameras can lord over smartphones is optical zoom. Smartphones use digital zoom, which digitally magnifies the image on your phone’s screen, resulting in grainy photos. Compact cameras usually use an optical zoom lens that will mechanically zoom to capture a clear, sharp image, even if the subject is a good distance away. Camera makers like Nikon, Canon and Samsung have been introducing more “super-zoom” compact cameras, meaning they zoom extra-long distances, ranging from 18x up to 30x. I like to call these neighbor-stalker zooms. Why? 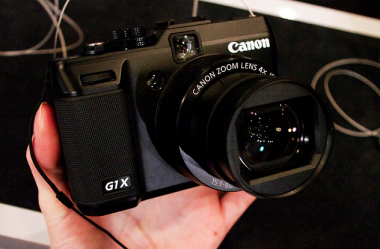 Most experts I spoke with say that a 10x optical zoom is plenty for casual photography. If you’re going to take photos of your kid from way across the soccer field, or you fancy yourself a bird photographer, then you might want a little more zoom. Lenses are probably worthy of an entire column, but for the sake of space, I’ll boil it down to two key things. When you look at a compact camera with a lot of bells and whistles, you might see different sets of numbers on or around the front of the lens. One might say something like 6.4 – 25.6 mm or 25 – 100 mm, and the other might say F 1.8 – 4.9. The first set of numbers refers to the focal length, or, the camera’s ability to capture subjects, both near and far, in an image. In other words, it tells you how much of the subject you’ll see. The example above is a pretty standard range. The other set of numbers is the starting aperture, also referred to as the “f-stop.” This indicates how much light is allowed to pass through the lens. This can get even more complicated when you start to look at f-stop as a ratio to focal length. To make it simple: With f-stop, a lower number means brighter pictures. A lens with a higher f-stop means the image will be darker. Many standard point-and-shoots have a starting f-stop of 3.1. But some more advanced cameras might boast a starting point of 2.4 or 1.8. With advanced compact cameras, even amateurs who love auto mode might find themselves becoming control freaks. These souped-up cameras offer everything from white balance to shutter speed to ISO control settings. One feature that has been creeping its way into more consumer cameras is the ability to shoot “raw” photo files — something that pro photographers demand with their cameras, but consumers have had less use for. Raw file options mean that in addition to capturing a standard JPEG image with a scene setting attached — say, “portrait,” or “nighttime” — the camera will capture an unprocessed, uncompressed image at the same time. Be aware: Raw photos are much bigger than JPEGs. It’s a brave new world in digital photography. For many people, I’m willing to bet that a smartphone camera is still the only camera they need. But for those who want to make the leap to a camera they can grow into, or for DSLR owners looking for a smaller device, there are plenty of good compacts out there with advanced features. A little research — and a little patience — is key.